Тема в разделе "HYIP от 61% в месяц", создана пользователем All-HYIPs.info, 20 фев 2019.
from account U18553597 to U172354**. Memo: Shopping Cart Payment. Withdraw to allhyipsme from coinscave.net. The amount of 0.5 USD has been deposited to your account. Accounts: U18553597->U4888473. Memo: Shopping Cart Payment. 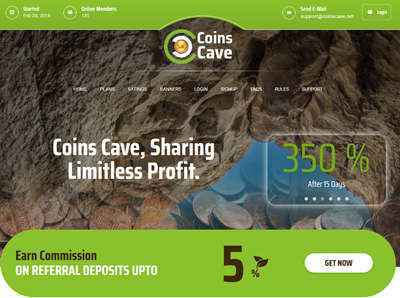 Withdraw to PBHYIPSINFO from coinscave.net.. Date: 16:05 04.03.19. Batch: 249288621.
from account U18553597 to account U172354**. The amount of 0.5 USD has been deposited to your account. Accounts: U18553597->U4888473. Memo: Shopping Cart Payment. Withdraw to PBHYIPSINFO from coinscave.net.. Date: 17:42 09.03.19. Batch: 250028135.